A great man once said “You have never really visited a country until you have tasted it’s food”. In a country as large and diversified as India it is more like “You have never really visited an Indian city unit you have tasted it’s food”. Every city has it’s own unique food and flavor. 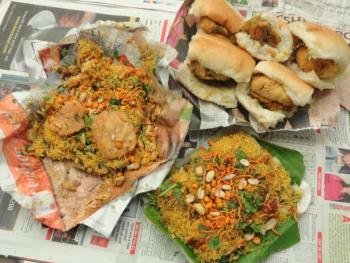 When I think of my home town Mumbai and the foods that truly represent it are the Wada Pav, Pav bhaji and Mumbai Chaats. No trip to the city is complete without trying these foods. The delicious aromas get you salivating even when you just walk or drive past a street food vendor. Please be careful while trying the food from road side carts and vendors in India. It is spicy with loads of chilies and various spices and may not suit everyone’s stomach. The Bombay burger, a spicy potato ball coated in chick pea batter and deep fried served sandwiched between a burger bread with some spicy garlic chutney, chopped onions and a fried green chili, is one of the most popular foods in Mumbai. It really represents Mumbai – unique, simple and functional. The wada pav being cheap, less that Rupees 10 (US $ 0.25), tasty and available everywhere is the preferred option for a quick snack anytime. It is the first choice when you want something hot and fast. The wada pav stalls are most commonly found outside colleges, bus stops, train stations, along freeways and highways and outside office buildings. The most famous ones are know by their locations throughout the city. In Mumbai it is the smell of food that draws you to the food stalls. The wada pavwalla normally sets up their shop in the open with their large wok for frying the wadas. 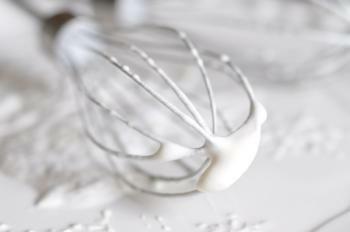 Who can resist the smell of frying batter? The wada pavwalla is constantly rolling the potatoes into balls and frying them. Their hands flying performing the roll the potato, dunk it in the batter and fry action. They all have their own secret ingredient which makes all the wada pavs different and stand out in their own way. 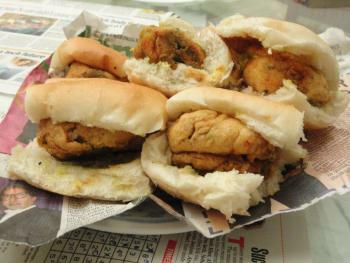 For me eating a wada pav brings three distinct memories. The first is grabbing a wada pav with friends outside my college between lectures or late in the day while studying and making presentations. The second memory is while going out on trips with family and friends. The trip does not really start till everyone has had some spicy wada pavs. The first thing we plan is which food stop to make to have wada pavs. The third memory is going to my native place and eating wada pavs with my family. The pav bhaji is a mixed vegetable made with tomatoes, onions, potatoes, capsicums and loads and loads of butter served with hot buttered bread called pav. This is a dish that truly represents the people of Mumbai – a mix of everyone and a spirit to match. 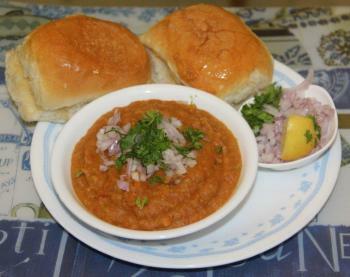 The pav bhaji has a very humble beginning but has transformed as one of the star dishes that represent Mumbai. It was originally created by street vendors by mixing and mashing leftover food with spices and butter and serving it with pav. Soon it became so popular, that it has become the go-to–comfort food for most and people from all over the country come to Mumbai to taste the pav bhaji. The delicious smells of the bhaji being made on large tawas (pans) with loads of butter is just heavenly. I cannot count the number of times my friends and I have been late for lectures or appointments because we were unable to resist the delicious smell of pav bhaji. The pav bhaji masala is a blend of spices which gives the bhaji it’s special taste and differentiates them. The road side vendors serve pav bhaji in hand carts. During the weekends the lanes around the famous pav bhaji vendors are double parked on both sides and packed with people who come to have their favorite pav bhaji. What can I say about Chaat ?? It is a category of tangy, spicy, fried foods. There are many dishes that fall under the chaat category which basically are different combinations made from kurmura (puffed rice), sev (gram flour fried vermicelli), sweet chutney made of dates and tamarind, spicy chutney made of mint and green chilies, boiled potatoes, onions, pappdi (flat hard puri) and sometimes dahi (yogurt). The most popular ones are sev puri, paani puri, raagda pattice, dahi sev puri (sev puri with yogurt), papdi chaat, aloo chaat, and bhel. The chaatwalla will make the dish spicy or sweet as per each person. A lot of chaatwallas have started using bottled water to make their chutneys to make it safer. The chaatwallas make and serve each dish on pages of old magazines and company annual reports. We use the pappdi as a spoon to eat with. Eating it on the street with our hands in old magazines is part of the fun of eating chaat. There are chaatwallas at every corner of every street. Literally. 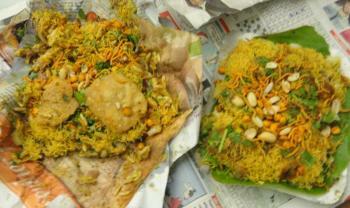 Normally we have chaat in the evenings as a light snacks, so most chaatwalla set up shop in the evenings only. The chaatwallas carry a small round basket which contains all their ingredients on their heads and set up shop on a tripod type stand on the road side when people hail them. Lately they all have cell phones and the local guy may even take order on the phone. If there is a really good chaatwalla in the neighborhood that you live in then people actually boost about it to their friends and family. Recently even weddings have a live chaat counter in their spread. For me eating chaat is something I do with friends. We have chaat instead of popcorn while watching movies at homes. There are other street foods like spicy Mumbai sandwich, dosas, frankies (Indian wrap), egg burji (masala scrambled eggs), vegetable pulao (Indian version of fried rice), faloodas (flavored milk with a scoop of ice cream, vermicelli, jelly cubes and basil seeds), goola (flavored snow cones) and many more that are also very famous but none like the 3 mentioned above. Wash and pressure cook the vegetables whole. Then mash them together till smooth. Chop the onions finely and make a puree of the tomatoes. In a saucepan, heat the butter, add the ginger-garlic paste and sauté for ½ minute. Add the 4 chopped onions and cook till light golden brown. Add the mashed vegetables, tomato puree, salt, sugar chili powder, pav bhaji masala, chopped green chili and jeera powder. Mix well. Cook for 5 minutes. Do a taste test for salt and chili powder. Add if required. Cut the pav open in the middle enough to butter it and heat it on medium heat. Serve the pav and the Bhaji together along with some chopped onion, lemon wedges, chopped coriander and a dash of butter. Boil the potatoes, peel and mash them. Mix all ingredients together, garnish with super fine sev and chopped coriander and serve. 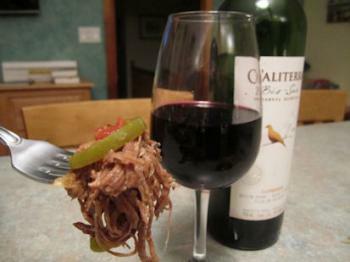 Pressure Cooking – Yes, You Can Do It!